Client: Public Works Authority (PWA) - Ashghal. ACE was commissioned to prepare a complete Tender Package for the construction of new roads and infrastructure in Aziziya East. This included the complete design of over 13.5 km of roads covering corridors of 8m up to 64m in width and all associated surface water drainage in an area covering over 68 hectares. A presentation to all major stakeholders. Preliminary Design – ACE produced a comprehensive preliminary design for the chosen option which included layout plans, horizontal & vertical geometry, surface water drainage designs, traffic signs and road markings, street lighting, soft and hard landscaping with associated irrigation designs, construction phasing plans and construction details. A comprehensive design report for the roads and surface water drainage designs accompanied the submission. 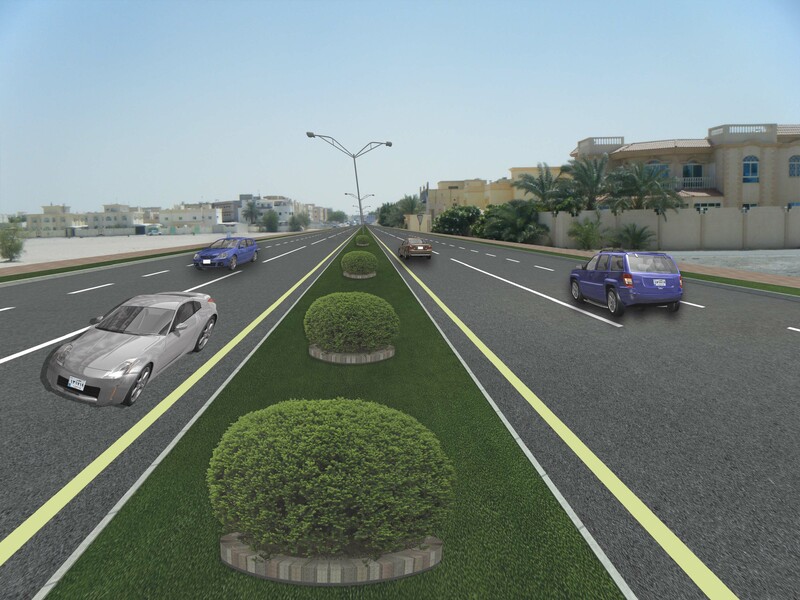 Detailed Design – ACE developed the preliminary design into a detailed construction design providing a comprehensive suite of construction drawings which included construction details for all elements and full setting out data, pavement designs and signal timings. Tender Package / Contract Services – ACE prepared a full tender package to the approval of PWA including project specific specifications, construction scheduling details and a comprehensive Bill of Quantities. Responding to tender queries, assisting with the tender review and establishing the contract between the winning Tenderer and PWA was also part of ACE’s scope of work.